Editor's note: This exhaustive interview -- which took place during several lengthy phone calls, over the course of two weeks -- was conducted late in the summer of 2007, months after biographer David Michaelis had completed his book, but a few weeks before members of the Schulz family had gone public with their displeasure, perhaps most visibly in an article published October 8, 2007, in The New York Times. This interview therefore does not reflect, nor is it intended to comment upon or rebut, any of the issues raised in that newspaper article. The following chat is designed solely to give David an opportunity to discuss his views on biographies in general, this book in particular, and his philosophies about writing -- and writers, and creators -- in a broader sense. Think of it as an opportunity to hear him talk about the book as he might do so with a friend, or to an audience attending a lecture. "You don't choose subjects; they're given to you." The words come from David Michaelis, and the subject in question is his 672-page biography of Charles M. Schulz, "Schulz and Peanuts," which was published Tuesday, October 16. Michaelis looks like everybody's favorite college professor-turned-author: casual, comfortable clothes; a friendly mien that invites the sharing of confidences; and a frequently animated bearing. Behind a podium, he'd be the sort of instructor who could get anybody fired up about any subject. In conversation, he chooses his words carefully and delivers long, thoughtful responses to even simple questions. He doesn't ramble, although he'll stray into half a dozen apparent non-sequiturs while making a particular point. But like famed storyteller Jean Shepherd and his delightfully scattershot radio monologues, Michaelis always works his way back to the desired answer. He writes the same way. Michaelis clearly loves words, respects both their power and precision. And that seemed a good place to begin what blossomed into an impressively lengthy chat (and could have continued much longer, were it not for the demands of life). I was struck, in the book's early pages, by the way Michaelis chose to characterize young Charles "Sparky" Schulz's endless supply of small-town Norwegian relatives, many of whom contributed some of the hundreds of interviews collected for this book. To a great degree these aged relatives help shape young Sparky's story with their own words, but at times Michaelis adds what can only be described as authorial shading, as when he describes the numerous Norwegian male relations as "dissipated husbands and crazy sons." To what degree, then, is a biographer "allowed" to inject his own personality into a project? And is a biographer a reporter, or the modern equivalent of a campfire spinner of tales grown ever larger in the re-telling? "Prose should create what in film would be the responsibility of the art director," Michaelis replied, "the way it looks, the way it sounds, the grain and feel and texture of the settings and light. All that creates an atmosphere. Word choice is extremely important in a book, because in prose, you have only words to create atmosphere, and a kind of reality. "During interviews, I get my impressions from recollections by survivors, usually at the far end of life, of a time and place that no longer exists. Because of the nature of compression, while writing the book I'm not going to put huge chunks of transcript into this text. I have to gloss over huge pieces of source material. "And when doing so, all these interviews -- all the stories that emerge -- lead me toward the specific words I use when constructing the story. I try to share the impressions I got, as those stories were told to me at the time. And I'm going out on a limb to become the teller of the story in my own language, to introduce a level of sophistication that I feel is deserved by the reader. "I'm pretty sure that what I'm doing is drawing a portrait of character, and that's something that develops over time; it's demonstrated dramatically by choices that somebody makes at the crucial turning points of his or her life. Biography is the story of the process by which people become what they are. "As for my role ... a reporter doesn't draw conclusions, and it would be unfair to do so; it's hard to draw conclusions while covering events that unfold daily. But if a biographer hasn't drawn conclusions and made up his mind -- hasn't developed a point of view from which to tell the story -- the biography will be inert. You'll simply find out who the subject had dinner with, and when he went to Europe, and when he came back. "With books like that, I never feel like I'm getting a story; I'm only getting a work of good scholarship, in the sense of events being in the correct order. But the story is really important in a biography. A biography conveys a sense of life going on, and advancing." 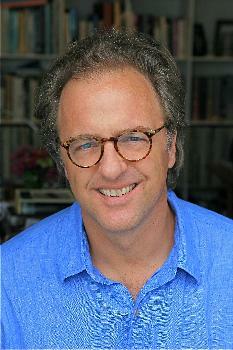 What process, then, drove this particular biographer to become what he is? Life, forever littered with coincidental ironies, is appropriately intriguing in Michaelis' case. His Schulzian roots go quite far back, to his grade-school days. 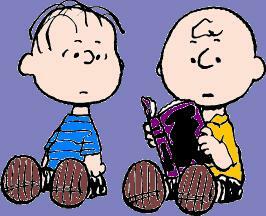 "I had a very deep childhood experience with Schulz and Peanuts," he admitted. 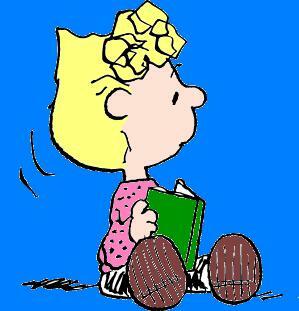 "I was one of those young Peanuts fans of the mid-1960s who found significant identity experiences in, say, putting on a Linus sweatshirt purchased at The Remarkable Bookshop in Westport, Conn.
"And I was stunned, one day in fourth grade, to receive a 99 on a dictation test given by Charles P. Spicer, my Dickensian, British-style instructor, whose intense discipline was ameliorated by a huge soft spot for Charles M. Schulz. The reward for my effort was to go to the master's desk, and be allowed to sit there, eating a Callard & Bowser toffee, while reading from the early Rinehart Peanuts books that Master Spicer kept in his desk." Michaelis recounts this memory, evoking images of a strict, 19th century-style school master, with a sense of timing and word choice that suggest frequent practice. Indeed, I would have opened this interview with that very anecdote, had I not spotted it, almost verbatim, in the introductory preface that describes Michaelis in the October issue of Vanity Fair magazine, which excerpts a lengthy chapter from his book. Michaelis, it would seem -- poised to embark on a publicity tour tied to the release of his book -- is becoming guilty of the same tendency that Schulz exploited so well, in the hundreds of interviews granted during his career: helping to shape his own portrait through the repetition of particularly vivid stories. Although an avid fan of newspaper Sunday funnies as a child ("My great comics experience was reading The Washington Post comics page, which was a huge deal for me, from about ages 7 to 12"), Michaelis, like so many who turn personal taste into an act of rebellion in their teens and early 20s, fell away from such things for awhile. To a degree, he wasn't entirely to blame; he moved to New York in his early 20s and started reading The New York Times, which quite (in)famously has no comics section. He had a vague sense of Peanuts "winding down," wasn't up to date with Peppermint Patty, and lost track of whether Charlie Brown still had his old life. "When he hit a home run," Michaelis interjected, a bit of surprise still in his voice, all these years later, "I remember feeling that that was odd, that it couldn't possibly have happened." "When I awoke to a morning on which The New York Times had Charles Schulz's obituary on the front page, jumping to not one but two full pages inside, and I began reading Sarah Boxer's obit, I was shaken both by my sudden feeling of loss, and by a feeling of discovery: that these familiar images were in this newspaper, where there were no comics ever. Where so much had been kept out, suddenly so much was being let in. "It was a feeling of acceptance and inclusion, and sudden awareness of the greatness of what had taken place." During the development and writing of that book, Michaelis' truly significant breakthrough had been to discover, in Wyeth's paintings, a pictorial coded language that told something of the artist's life. He became -- and remains -- friends with Wyeth's youngest son, Andrew, and Andrew's wife, Betsy. "I thought, wow, surely the same will be true ... surely if I were to penetrate the surface of Schulz's work, I would find much, much more than ever could be told about the life itself." The Wyeth book had done well with critics, which led Michaelis to believe, after trying to make it as a writer for 25 years -- having struck out as both a novelist and literary journalist -- that biography might be the right form for him. He also had an ongoing gig with Traveler Magazine and a few other irons in the fire. But now, fired up by this notion of approaching Schulz's life through his work, Michaelis ... considered the idea. "I'm not a comics person by trade or nature," he admitted, thinking back to those first few weeks after Schulz died, on February 12, 2000. "I'm way too literary; I think more like a critic." Lips were bitten; knuckles were chewed. Michaelis dithered. "A friend -- out of the blue, for no reason -- said to me, 'Did you know that Charles Schulz always wanted to meet Andrew Wyeth?' "
Not long after that, Michaelis happened to be driving through Chadds Ford, Pennsylvania, en route to New York; he spontaneously decided to stop and visit Andrew and Betsy Wyeth. The subject of Schulz came up; Andrew mentioned how he and his work had been acknowledged in Peanuts strips -- in 1966 and '68, and then again, years later, in 1999 -- and that he and Schulz had exchanged many letters. He brought some out and showed them to Michaelis. Coincidence ... or celestial intervention? Shortly after that visit with the Wyeths, Michaelis sent a short note to Jeannie Schulz, acknowledging that it probably was too soon for such things, but asking to be remembered when she got around to thinking about a biography of her late husband. Michaelis also sent her a copy of his N.C. Wyeth biography. "Well, you'll be happy to know that my husband has your book on the table beside the drawing board in the den, at home." Okay, that was too much to ignore. 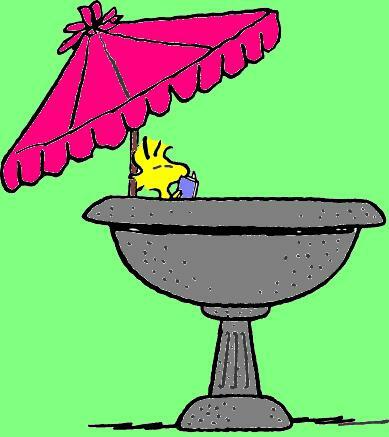 Michaelis flew out to California in July 2000, for a meeting with Jeannie Schulz, who brought Schulz family friend and adviser/attorney Ed Anderson; they were joined by Paige Braddock, then director of rights and permissions at Creative Associates, and her father, Bud. Although this conference took place over dinner, the discussion had a distinctly interrogative air. "It was a windowless back room," Michaelis recalled, laughing, "and I remember being on the spot to answer a lot of questions, and thinking that they may as well have placed a searchlight in the upper corner of the room. "I have no idea why Bud Braddock was present; to me he was simply an angel sent by God to talk beautifully and at a steadying tempo about rural architecture in Georgia, as photographed in the 1920s by Francis Benjamin Johnston. As guest of honor, I sat at the head of the table; Jeannie sat to my left, Ed to my right, with the Braddocks, father and daughter, facing each other. "Sparky, or his ghost, occupied the empty chair at the opposite end from me." Although there was no sense of urgency with respect to whether such a project should be undertaken, Michaelis and Jeannie Schulz agreed that, in the immediate years ahead, they'd lose the window of opportunity among Sparky's oldest friends in St. Paul, relatives in Wisconsin and Minnesota, men in his old Army unit, and colleagues at Art Instruction Inc. If Michaelis began soon, he could interview some -- if not all -- of those people. Even at this point, Michaelis had a very distinct take on the book. "From the beginning, I saw it as a work in which I'd seek the cooperation of Charles Schulz's family and friends, and the Syndicate. 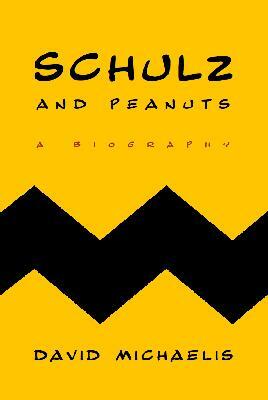 I saw at once that the volume of the parts of Schulz's life, work and business would be encyclopedic." Despite the vast expanse of his subject, Michaelis outlined a plan for the book. It would tell, in a comprehensive single volume, the parts of Schulz's story that hadn't yet been connected: the narrative of his life, from birth to death, and the epic of Peanuts, as a creation and as a story in itself, set against the times during which all of this unfolded. And as he began to study that man and those times, Michaelis made a fascinating discovery. "Sparky's life was emblematic of each decade that he occupied," Michaelis noted. "He was a representative figure of his generation, from birth through death. Peanuts reflected both his life and the age in which it had been created: a backward-looking work of art that soaked in and was laden with bits from an earlier time." Having devoted seven years to his telling of N.C. Wyeth's life, Michaelis saw no reason to deviate from this formula. "Taking time really is of the essence with the biographical form. Being able to do another one, two or three interviews with somebody makes a difference between just getting something written ... and getting it right. "The level at which candor comes into an interview, and you begin to really know someone by their candor, is the level at which you begin to accept that this is the way things were." That said, the biographer must be very careful. "Candor can be a trap. Sometimes very convincing people can say things that turn out not to be true." Salvation came at HarperCollins, from a team put together by Cathy Hemmings; the publishing house was quite comfortable with the Peanuts brand, having produced a number of books containing Schulz's work. And, in a final note of serendipity, Michaelis' grandfather had been an editor at Harper & Row, an earlier incarnation of HarperCollins. With a publisher in hand, and with his proposal accepted by all the elements on Sparky's side -- his family, United Media and Creative Associates -- Michaelis was granted an advance that was "ample enough to spend the five years I first planned." Digging through personal correspondence and archives at both United Media and Creative Associates -- and conducting interviews -- took months and months and months. "I felt most comfortable, as a scholar, with the documentation and source material that covered the years, roughly, from 1937 to 1967. The period that provides the greatest variety of material -- interviews and letters, contracts, paper trails -- is where you can do the best job. "Much of what I gathered from the final 25 years of his life was mostly my own interviews, which because of subjective viewpoints are the hardest on which to base a narrative. "I got extremely lucky when, in the basement two stories beneath the hot and steaming United Media building, I found several cartons of papers filed quite neatly: the correspondence through which Schulz and United Feature Syndicate (as United Media formerly was known) had created Peanuts. This was the only surviving record of the creation of Peanuts: what to me felt like unimpeachable evidence of what things were like in the beginning. "That was the time period during which I felt I really could do my job." It also was the point during which Michaelis became most impressed by the sheer time that had been required to get Peanuts going ... a nurturing process that never would occur today, in this 21st century era of instant gratification. "Consider how many days of train travel were required to meet editors and sell this feature, one by one by one, to reach some little newspaper in the hopes of signing it up. Consider the unimaginable generosity of Sparky and the Syndicate, to the general public ... such as when Sparky wrote up 400 cards to send back to the people who sent him valentines one year, after Charlie Brown didn't get any. "So many people see Peanuts as a blimp hanging overhead today; they forget -- or never knew -- that once it was a newspaper strip being created one day at a time." When Michaelis finally began stitching the bits that would become the quilt of Schulz's life, he was further stunned -- despite having gained a sense of things -- by the magnitude of this one man's impact on the world. "I wrote as thoroughly as I could, as long as I could. I had reached 1975, maybe 1980, in Sparky's life ... marching from 1922 onward, year by year, sometimes week by week or hour by hour. The manuscript by then was 1,200 single-spaced pages. I was stunned to see how far I had come .. and how far I still had to go. "I felt like those early American explorers who hit a mountain peak, climbed it, and then were dismayed to find a whole mountain range behind it, rather than the Pacific Ocean." He wasn't the only one to appreciate the enormity of his chosen subject. "One of my very first interviews was prophetic: Cathy Guisewite (creator of the strip "Cathy"), after we concluded a great interview in late 2000, told me that this project would confound me, because -- and these are her words -- 'Sparky is big and small at the same time.' "
She spoke truth ... and, as more time passed, Michaelis began to worry if his approach were even feasible. "I had what I thought was a 'Eureka!' moment: I woke one morning and realized it would have to be two books. Volume one would be Charles M. Schulz and the age of Peanuts, 1922-72; and volume two would be Charles M. Schulz and the age of Snoopy, 1973-2000. "But I came down to earth about an hour later and realized, no, I was under contract for a one-volume biography, and that's what needed to be produced; that's what the market would bear. So I focused: The great narrative I had to tell was the creation of Peanuts, and that story was of enormous importance to understanding who Sparky was ... how the so-called 'nothing young man from St. Paul' became the most beloved artist of the 20th century." Time passed; those 1,200 manuscript pages grew to 1,800. "I spent the summer of 2006 taking out 900 pages. In some cases, I took out entire plot lines ... every trace of certain people who crept through Sparky's life. One example was Sparky's relationship with his trusted business manager and adviser, Ron Nelson. I removed that whole story, along with other narrative lines. "You make certain choices, after the first draft, as to what length book you're aiming for. I felt that I had brought in the story; next, I had to decide, out of this, what IS the book? I like to hold a book in my hand, and feel not like I'm holding a huge book, but a big book: a book that I can lean on my chest when I go to bed at night. "So you begin the long and slow process of shaving." At this point, every sentence and paragraph -- every single word -- becomes a critical choice: retain or discard? "My technique is to read aloud. I read the entire manuscript aloud, to myself, and every time I heard a word that didn't sound right, I'd look at it, and try to figure it out. Word by word is very important to me." As days and weeks turned into months and years, the biographer who wasn't a "comics person by trade or nature" developed an intense appreciation for both Schulz and his craft. "Comics, by their nature, were the natural medium for Sparky's genius," Michaelis said. "The repeated choices that he made in that direction revealed parts of his character. "One point I found very important: A convention of the profession was that if you became very successful, you had somebody else draw for you. The most successful cartoonists often branched out to have several features going, drawn by associates and fellow cartoonists. Schulz made a very distinct choice, and he made it again and again and again: that he would be the person who drew those 17,897 strips. "So what's that choice about? It's the simplest rendering that we see all the time in any biographical work about him: Charles M. Schulz is the only person who ever drew his comic strip. It's a testament to his craft, and of his dedication to his work, to Peanuts itself ... to the genius of one man's vision. "So it's quite clear that this was the most important aspect of cartooning, to him." Michaelis also became fascinated by how the comic strip medium seemed so appropriate to Schulz's personality, and as an extension of his own life. "A novel has a beginning, a middle and an end, and then it finishes the story," Michaelis explained. "The tale in that book is resolved. The painter paints his painting, and it's finished; the impulse that led to that particular painting has been satisfied. "But Schulz talked continuously about how he doesn't need to fully resolve his work. True, comics are full of small resolutions, but in fact they can be made new each day." Indeed, it could be argued that this very failure to achieve larger closures is central to the appeal of a property like Peanuts: We remain sympathetic with Charlie Brown because he'll never kick the football or actually meet and become friends with the Little Red-Haired Girl. Linus never will meet the Great Pumpkin; Lucy never will persuade Schroeder to notice her; Pig Pen never will find a way to become fully clean. Fans claim to want such escapades to have happy resolutions -- or any sort of resolution -- but that's not really true. The result always is akin to demanding the secret of a particularly clever magic trick: Once we know the gimmick, the trick ceases to be interesting. Worse yet, we may even grow annoyed with the magician, because of the ease with which we've been fooled. Schulz did grant some closure over the years, and the results felt like errors in judgment. Peppermint Patty spent years believing that Snoopy was a "funny-looking kid with a big nose"; Marcie finally told her the truth on March 21, 1974, much to Peppermint Patty's embarrassment. In another apparent violation of the natural order, Charlie Brown eventually hit a home run in March 1993. In both cases, though, these revelations subtracted from the complex dynamics by which the Peanuts characters operated. It was much, much funnier when Peppermint Patty didn't realize that Snoopy was a dog! "I compare Schulz's work with a novelist like Tolstoy: There really aren't plots, just a sense of the process of life itself. When you read 'Anna Karenina' or 'War and Peace," you get a sense that life is going on in front of you. That's the extraordinary art of the work." Over time, Michaelis came to believe that these artistic decisions, within the comic strip format, could be seen as a metaphor for Schulz's own life. "The simple point is this: Whenever Schulz spoke about certain episodes of his childhood, especially those that had to do with feelings of loneliness or melancholy -- and some of their sources -- he never failed, one more time, to tell the stories of the villains of his childhood: the school bullies, the relatives who didn't understand him, the teachers who ignored his talents. "To a biographer, this is fascinating, not only because it's sometimes hard to tell who the real villains were, but mostly because these stories have no resolution. Sparky's stubbornly held resentment had no ending. Into his 60s and 70s, he still talked about these wounds as if they had just happened." In fairness, some of these long-remembered resentments were entirely justified, as when, toward the end of the 1950s, the new young pastor of the Minneapolis Church of God introduced Schulz to his wife as the man who drew Peanuts. "Oh, well," she replied. "What other work do you do?" Every artist in the known universe could sympathize with the leaden, heartbreaking thump that must have accompanied that cruel and amazingly thoughtless remark. "This always led me back to the feeling that there had to be a reason for a man to make that choice, to hold such feelings ... and that comes roundly back to the notion that comics are a perfect medium for Schulz, because they don't have to be resolved. "With Peanuts, he showed himself to be a master of the human heart; yet when it came to his own heart, he seemed baffled, when he looked back, by the loneliness, pain and anxiety that he carried with him from childhood to the end of his life. And of course he poured these themes into the strip. "It was his genius to popularize the human condition in a way that we readers then recognized it. He didn't sit around with his memories; he put them into his strip. He did what an artist is supposed to do: He let his work speak for him. "And yet his art did not necessarily free him from his feelings, even if he did rise above them. "I hate it when all this is lumped under the word 'depression,' because I don't believe for a moment that Charles Schulz suffered from depression." Which of course begs the most fascinating issue: the fact that countless artists have avoided self-examination out of a fear that subjecting themselves to such scrutiny would destroy their artistic gift. 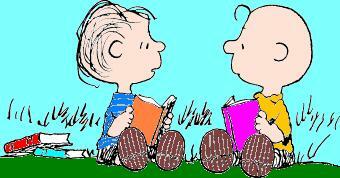 "Would Peanuts have been a greater work, during any period of time, if Schulz had pursued a greater understanding of himself and his life? "It's impossible to say, and it's not my job as a biographer to decide that." The finished book boasts an attractively simple cover design by award-winning comic book savant Chip Kidd, also a longtime admirer of Schulz and his work. Michaelis' text starts slowly, and readers wholly unfamiliar with Schulz's early life may be forced to take notes during the first few chapters, in an effort to make sense of out the scores of relatives and family friends who pop in and out of the first 50 pages. But the saga finds its momentum by the time Schulz becomes a young man, and Michaelis achieves something akin to a novel's captivating flow as the 1950s give way to the '60s ... no easy feat, in a work of nonfiction. As he does while speaking, Michaelis has a gift with language, and some of his authorial observations and metaphors are simultaneously astute, charming and quite Schulzian. "Just as Peanuts stretched its shrunken black-and-white panels to introduce themes never before presented in the funny papers," Michaelis observes, on Page 369, "Schroeder 'somehow manages' to elicit everything from sonatas to jazz suites from his dingy, painted-on keyboard." Such analysis was key to Michaelis' approach. "The core of the book was to understand who Charles Schulz was as a boy, then as a teenager, a young man and a young adult ... and then as a world-renowned cartoonist in various stages of ascendancy and development, and finally as a master of his art. "In a biography, you keep running up against character. For all of us, only rare individuals can transcend their own upbringing -- the slings and arrows we all endure at the hands of our parents, closest friends, teachers, neighborhood bullies and all the rest -- and come through, and somehow become greater than the capacities with which we're born. "And look at Schulz: He transcended, to an unheard-of degree, the 'ordinary' life he began with, around the corner from the barbershop at Selby and Snelling. He became thoroughly extraordinary. "And that's the fascinating part of biography, to me: seeing how Sparky grew and expanded, and enjoyed his success. "And yet he never seemed to be completely comfortable with his fame. He always seemed happiest behind his drawing board: a totally different human being ... the artist completely comfortable with the craft he had mastered." But astute readers will notice that the flow of Michaelis' book falters a bit, as we reach the late 1970s; the emotional resonance retreats in the final 150 pages or so, leaving us with something closer to the fact-laden "work of good scholarship" that Michaelis described, above, as the trap to avoid in a biography. "Up until, let's say, 1980, I was writing a story with a single version," Michaelis explained. "It was a single narrative: This is what happened, and where, and when, and how. But it's very hard to do that for the final 20 years of his life. "Those years were a continuous puzzle to me. To try to understand him in detail, during those final years, would be a creative mistake, because a lot of issues that his life raised aren't yet resolved. It's too soon; 40 years from now, all this will look totally different. "Things change, as time moves on; every version of the past is always a reflection of the present. "It is an endlessly debatable point as to whether Sparky was 'happy' for the final 25 years of his life. Those who did know him, and love him, feel very strongly about this. I didn't want to enter that debate, because I didn't know him, and I didn't have the source material; I didn't find a secret diary by Charles M. Schulz, because there is no such thing. "Everybody's point of view concerning the last 20 years of his life will be different by definition; they have strong feelings. My interviews were peculiar in this way. The vehemence with which people would describe their Sparky -- and where this connected with what others said, and where it didn't connect -- always astonished me. The variations on so many questions, from so many sources -- many of them authoritative -- always surprised me. When I asked what I thought was a simple question, the variety of answers was stunning." The only solution would be a far more ambitious work than Michaelis had been contracted to write. "You'd have to produce a book more like an oral history, where everybody's testimony is granted equal weight. 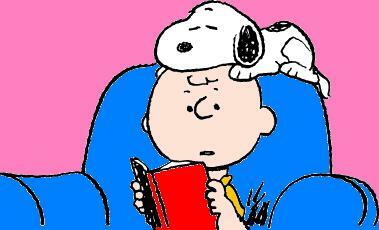 Such a book about Charles Schulz would be a winner; such a book is necessary. But my book isn't that book ... and that's why I don't feel as authoritative about the final years of his life." After a heartbeat's pause, Michaelis qualified that a bit. "I've written a book that is as honest as it possibly can be ... and I've been as honest with the reader as I possibly can be. I'm satisfied that the level at which the book treats Schulz as a man -- and Peanuts as an expression of his life, as well as art in its own right -- is as strong as I could make it now. 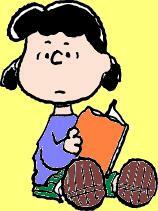 "But it's not the definitive biography of Charles Schulz that will stand for 30 years. Other significant, valid books about his life and art will come along. There's more to be discovered and learned about him, and I look forward to reading the next one. "I've given the reader an understanding of how much hard work it took, both to live his life, and to create Peanuts in the first place. I hope it produces a version of him that's alive, and is truthful." Did Michaelis worry, having been such an avid Peanuts fan as a child, that the process of researching and writing this biography would shatter any romanticized notions that he might have believed about Schulz? This answer didn't come quickly. "I have learned, at age 50, the true nature of friendship," Michaelis finally said. "The forgiveness, recognition and understanding that comes out of life's less attractive events and situations, are the things that bring true love to people. "And that's how I feel now about Schulz, having gone through seven years of understanding him as closely as I think he could be understood. "I feel like I love him better now." Having finally finished pushing his Sysiphian rock up the mountain for so many long years, Michaelis returned in early 2007 to a reaction that must have surprised -- and likely dismayed -- him. Despite the cooperative fanfare with which this biography was unveiled, the book has been greeted by a decidedly different response by the Schulz family and Creative Associates. Santa Rosa's Charles M. Schulz Museum has no plans for an official unveiling or author appearance/booksigning; indeed, the facility appears to have counter-programmed a Peanuts strip display -- "Schulz: His Life in Peanuts," which continues through January 14 -- against the October 16 release of Michaelis' book. When asked to comment on this turn of events, Michaelis' chuckle sounded decidedly rueful. "That sounded so much like Sparky to me -- so Schulzian -- that I really appreciated his willingness to lighten the burden for all of us, by seeing it that way." Could the book really have been that much of a surprise? "I had discussions all along," Michaelis insisted, "with family members, friends and colleagues, where I made it clear that it seemed Schulz was made up of complexities and contradictions, and that the life and the man -- once revealed in their wholeness -- would illustrate a far more real human being. "I may be responsible for not allowing this portrait of Sparky, as it unfolds, to reflect the easier-going sides of his life. What may be upsetting to people is that I was trying to answer the questions that his more internal self raised, and that he himself spoke of. The story of the biography, as I told it, probably leans more heavily toward the search that those questions raised for him, thereby making him appear to be a darker, more introspective man than some people believed. "One of the simple facts of biography is that it does explore -- with sensitivity, one hopes -- the discussion of a divorce or death, or any great event, and you therefore learn something about the person, which you couldn't have known before. To simply honor secrets, lies or fibs, is to distrust history and make no sense of where we've been as a culture, as a people, or -- in this case -- as an individual or a family. "That's the job here: to do it cleanly and clearly, without sensationalizing anything." I can almost hear Michaelis shrug over the phone, as his momentum builds. "But look: At a certain level, none of us wants to find ourselves in -- or not in -- somebody else's story. At a certain level, reading about ourselves and or loved ones, in some writer's version of things, is a monstrous and appalling prospect. How could he have gotten it right? What does he know? "All biographies should have multiple memoirs alongside them. In the end, the shelf contains all those things, and the readers have plenty of resources from which to make up their minds." On one point, however, Michaelis is emphatic. "One of the final notions I heard was that if I'd met Sparky, I'd have written a different book ... and that that book would 'better' represent him, in the eyes of those who had known him intimately. "I completely disagree with that as an idea. "I never felt that I was bound by the awkwardness that would have accompanied a personal relationship, had I known Schulz. I never signed an unwritten contract with him, as friends do, where you agree to love someone no matter what ... to be the friend they wish you to be. I never could do the job, as a biographer, that I want to do, were I bound by such dynamics. "The search for honesty and truth has completely different boundaries in friends and families -- or in family memoirs -- than it does in a biography." So how did the process of writing this book change him? "I had a great deal more idealism about biography as a form, in the year 2000, than I do today. The fact of trying to deal with a worldwide figure, who was both a genius and a very human being, has reminded me that this isn't easy. This is hard work! "I won't start my next book so easily. "Knowing what I know today, I'll be far more cautious about entering into the next relationship, especially among those who are living. I've discovered a great deal about what it means to write about a person so soon after his death, when the people around him still are in the midst of sorting through their own feelings." "If you wish to know me, read my strip."